Spice it up with No Name Original Steaks and Moroccan Spices! An easy marinade makes for a quick and flavorful dinner option. Spices reduce our reliance on extra salt for a flavorful dish. 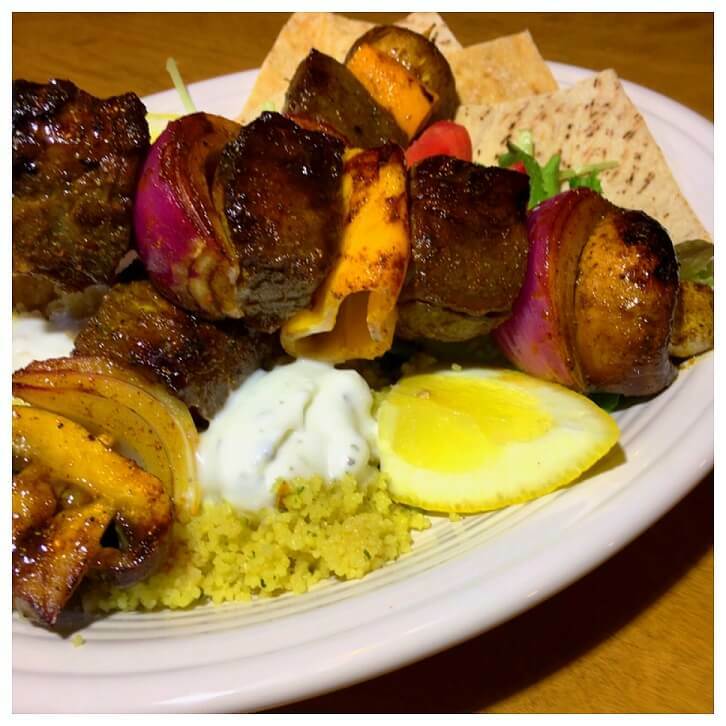 Make dinner a healthful choice by stacking your kebabs full of fresh veggies and serving with a whole grain couscous. Tahini-yogurt dipping sauce will be a cool and flavorful addition to your recipe arsenal. Serve with toasted pita bread for a filling and flavorful meal! Combine all ingredients in a bowl and mix well. Place in the refrigerator and allow to marinate for 20 minutes. Want to spice it up? Add sriracha or cayenne to your marinade for an extra punch of spice! Mix all ingredients thoroughly and chill. If Greek style yogurt is used, sauce may be thinned with a few tablespoons of water to desired consistency. Place the vegetables onto the kebabs with alternating chunks of the raw, marinated No Name Original Steak. Using a basting brush, brush the left-over marinade over the assembled skewers. Grill the skewers over medium heat on your gas or charcoal grill, or bake in the oven at 350 degrees on a cookie sheet until steak is cooked through and veggies are tender. Serve with your favorite prepared, packaged couscous or rice. Serve the Tahini-Yogurt sauce on the side. HINT: Soak your wooden skewers in hot tap water for 20 minutes before using to prevent the exposed skewers from burning up on the grill!